Our proactive approach to the winter weather will allow you to be open for business no matter what mother nature throws our way during a Northwest Ohio winter. Our management team is dedicated to providing the same phenomenal results during a snow storm as we do during the landscape season. All Green, Inc. professional Snow and Ice Management Teams will plow and salt property to provide easy throughways for cars and trucks. Liquid de-icer is an alternate option for salt and is available to many of our customers. Our team will shovel and salt your walkways to make sure every one has a clear path from their car to the door. 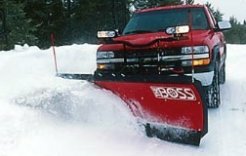 If you need, we will even haul the snow away from your property!